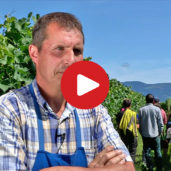 South Tyrolean cellarmen and farmers take care of the cultivation of vineyards as well as the production of high-quality wines. The magic Alpine-Mediterranean atmosphere of Merano and surroundings becomes particularly evident in autumn, when the valley is befogged in the mornings and the air on the mountains is crystal-clear. We sussed out the tradition of the “Toerggelen” and tasted roasted chestnuts, we attended ancient handicrafts and lend a farmer a helping hand in harvesting grapes. The surroundings of Appiano is one of the richest areas in castles on European scale. 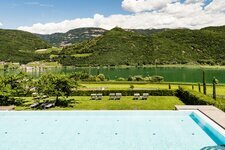 Embedded among fruit orchards and vineyards, it is located only a stone’s throw from the city of Bolzano. Particularly worth to be visited is Castel d’Appiano and its beautiful castle chapel. In summer the lakes of Monticolo are ideal if you seek refreshment. Located at the lakeside of Lake Caldaro and surrounded by typical South Tyrolean vineyards in the south of the province, there is the municipality of Caldaro. This area is characterised by a large number of castles, ruins and residences that are popular excursion destinations. The Mendola funicular, considered the steepest and longest funicular railway of Europe, takes you to the Passo della Mendola, which is an ideal starting point for hikes, making you experience nature at close range. Termeno is located in the south of South Tyrol and is the hometown of the famous Gewuerztraminer wine. Moreover this village boasts a mild climate and is rich in historic farms. Also the Castelaz church and its narrow alleys are worth a visit. The most striking event is probably the Egetmann parade in the period of Carnival. Almost two weeks in San Paolo it’s all about wine, culture and rural traditions. People proffer and dish up on a large scale. A series of events, well-known beyond the borders and not only attractive for wine experts. Martin and Steffi have fulfilled their little dream. With “Vis à Vis”, a noble Enoteca in the heart of the wine village of San Paolo in the South Tyrolean Oltradige. They have chosen more than 400 select wines, mostly from small wineries, for their guests. And corresponding delicacies, from olive oil through to pickled vegetables. We show, how the owners select their products and pass only best recommendations to their guests. Today we visit glorious residences and explore the centuries-old tradition of viticulture in South Tyrol. Our trail leads us to Cortaccia, located at the South Tyrolean Wine Road. We walk through a sunny landscape of vineyards, taste noble drops and discover the “way of life” of wine. 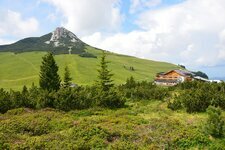 Come with us, we show you a lovely piece of South Tyrol! Termeno in the South Tyrolean Bassa Atesina is the home of the South Tyrolean “Gewürztraminer”. Here the so-called “Vinobarden” live the tradition of wine. We have visited the “Gewürztraminer” Wine Road Festival. A glass of champagne in the morning, a view into the South Tyrolean alpine world, further to the Lake of Caldaro while having a delicious lunch, an inspection of a vineyard accompanied by the winegrower himself, immersing into medieval walls in a typical wine village and wine tasting in one of South Tyrols oldest family business – that’s the so-called “winesafari” at the South Tyrolean Wine Road. Come with us! When Indian summer days still exist in the valleys, the mountain tops are already covered with snow. Ideal conditions for the grape harvest. In the vineyards above the Lake of Caldaro the winegrowers start their day early in the morning, the vintage definitely has started. The actual world in the vineyard is done by mother nature. But without the help of the vintners and their helping hands, there would hardly be any South Tyrolean high quality wines. One year long we’ve been looking over the shoulder of a vintner of Magrè in the Bassa Atesina valley, both in the fields and in his cellar. The perfect combination of rainfall, light and well aerated soils that are easily heated by the warming sun-rays, and many sunshine hours are the best prerequisites for the cultivation of wine in South Tyrol. 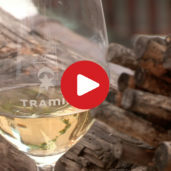 The local wines are known beyond borders - the famous Gewürztraminer, an aromatic wine grape variety, for instance, owes its name to the village of Termeno (Tramin, in German), located in the surroundings of beautiful Lake Caldaro.